A picture is worth a thousand words. And these pictures or visuals become of prime importance when you use them for advertising purpose, more specifically print ads. We at Spotlight Communication believe if your visual is simple then your ad or brand stands at a better chance of recall. When we try to recall something, most of the time search engine of mind starts scanning images for corresponding word or experiences. 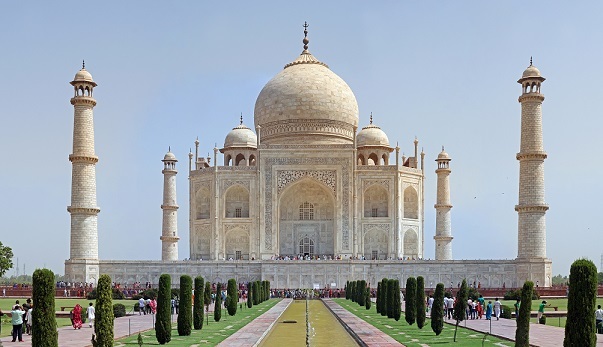 Suppose someone asks you a question, have you been to Taj Mahal at Agra? The very moment your mind will produce images of Taj Mahal which you had seen or various locations of Taj Mahal where you had captured photographs during your visit or some of those photographs which you had seen on internet or on greeting cards or in form of gift articles etc if you have not visited Taj Mahal. 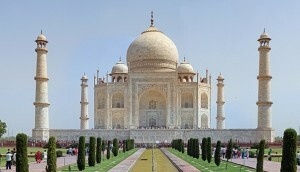 In both the case simple visual of Taj Mahal is reproduced and recalled but hardly anything else is recalled for Agra! This happens because Visual of Taj Mahal is very simple. The same thing happens in advertising. The simple the visual it stands a better chance of recall. We used the same principle to solve problem of Krupal The Freedom City. 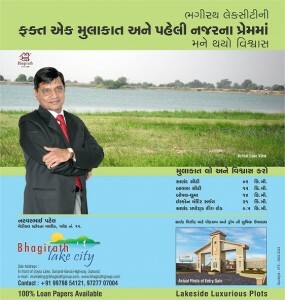 It’s a residential plotting project by Narayankrupa Infra on the fast developing Ahmedabad-Bagodara highway. It’s NA, NOC and Title Clear residential plotting project. So customer can have ownership of plot from the very much first against full payment of plot. When compared with competing projects in surrounding areas Krupal The Freedom City emerged as one of the most affordable projects of residential plotting. 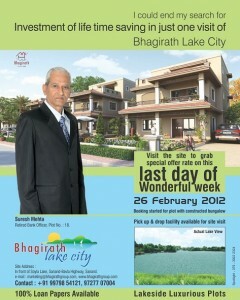 Plots are starting from 1062 sq. ft., costing Rs. 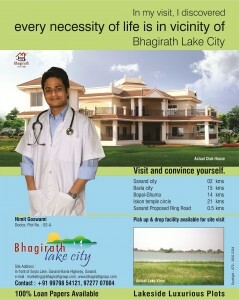 3,18,600/- that means only Rs.300/- per sq ft. But the big question was how to communicate this affordability part very effectively? When you think of three hundred rupees what comes to your mind. May be three notes of hundred rupees? What else can be the best visual apart from three notes of 100 rupees? 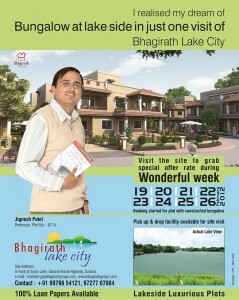 So we created print ads and other collateral materials with same image. This ad with simple visual got better recall and response. 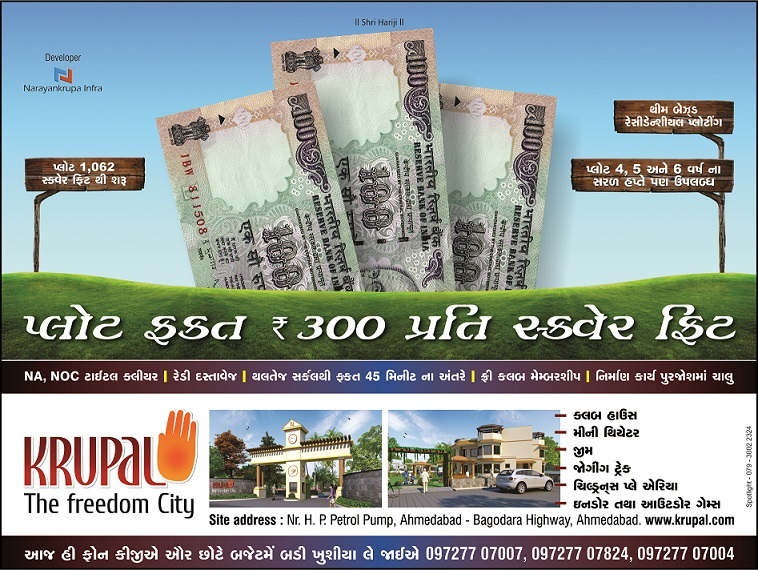 Because it helped in strengthening the perception that plots in Krupal The Freedom City are really very much affordable. Even a young corporate executive can also afford to have a plot in his initial salary. Further flexible payment plans add to the convenience of buying a plot. So affordability was communicated very effectively and it helped in gaining preference by target audience. All in all success of campaign is dedicated to simple visual. In support of print media extensive use of Radio channels at Ahmedabad helped reaching the target audience. It helped in communicating the part ‘Plots are very much affordable”. In brief, if your visual is simple it helps your brand get register in minds of prospect and will help in better recall. Remember 90% of information transmitted to the brain is visual and visuals are processed 60,000X faster in the brain than text. And simple visuals make this process even easier. So don’t under estimate the power of simple visual. Spotlight Communication advise go for simple visuals in your ads.